Where was the Cradle or Nursery of Life? 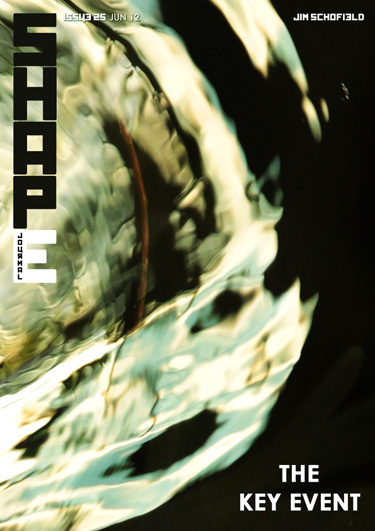 Welcome to Issue 25 of SHAPE Journal. This edition marks a change in both layout and overall method for this author, and as such requires a few explanatory words here. They are not about the content so much as how that content redefines its presentation. The question being considered is the essential touchstone for a necessary and truly profound change in scientific method, for it cannot be addressed by the usual standpoint and methodology, which has remained essentially the same for several centuries. Tragically, its clear inadequacies, revealed towards the end of the 19th century and the beginning of the 20th within Physics, did not lead to this necessary and indeed revolutionary change, but instead precipitated the wholesale retreat, which became The Copenhagen Interpretation of Quantum Theory. For this change, in order to retain a “coherent” approach, rejected Explanation (Theory) as illusory, and pragmatically reverted to Prediction (and its means - Equation) as Science’s sole purpose. This retrenchment has now lasted 100 years, and shows no signs of ending. Thus, those who consider that the Explanation of Phenomena to be Science’s ever-improvable essence, must find answers to the philosophical and methodological impasse that has resulted in this devastating retreat. And, there are many real world examples, which can be investigated to begin to get a handle upon Significant Qualitative Change – Revolutions in all areas of study. Now, such researches are already being pursued, but only by a very few practitioners, and such papers as this must attempt to recruit ever more colleagues to this vital task. Thus, this paper will change the usual form, and will attempt to make illustrative links with other work in the area by special included panels, usually involving a picture or diagram, and an indication of where this can be looked up to pursue that particular line. Clearly, this cries out for hyperlinks and relational databases web-wide, but differs in that the present available software does NOT involve adjustment either in the sending paper, or in the “sent-to” paper. So, that is too independent of any cross paper intentions, and that doesn’t always help. So, such use is not implemented here. It is, instead, beginning to find a way, which will hopefully transform the means to fit particular content. What you will find here is, of course, only a first step.